Clasping Coneflower is an annual wildflower native to the southeastern United States, but has spread throughout most of North America. It produces a single black, cone-shaped head with yellow petals that bloom from June through September and can grow up to two feet tall. It prefers full sun and can handle a wide range of soil types. 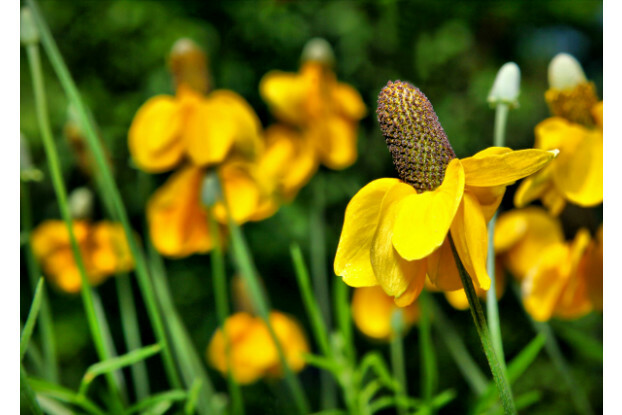 Clasping Coneflower is also very drought tolerant, making this wildflower ideal for use along roads, meadows, hillsides, and waste areas.